Have you heard of Air Lithuanica? They are one of Europe’s newest regional airlines based at Vilnius Airport; I take a flight from Brussels to Vilnius to check out their inflight meal offerings. The airline offers two classes of service, Club Class and Eco Class, today I travel in Eco Class where meals are not included in the ticket price instead you can purchase something onboard. 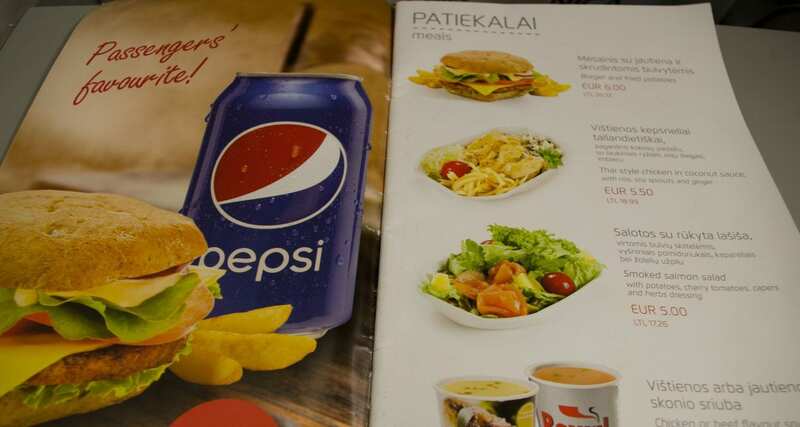 I wanted to order the burger and fries (which only cost €6.00!) however the dish is hugely popular was already sold out when I tried to order it. So I settled for the Thai style chicken in coconut sauce served with cheese and rice instead. I was impressed with the inflight menu it’s been well thought out, offers excellent value for money and quality looking inflight meals. 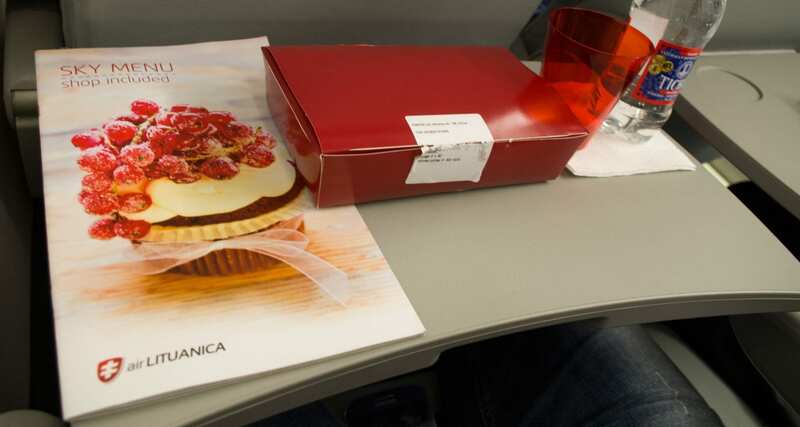 Even the cups, cutlery, and inflight meal packaging colorfully represent the airline brand. Best of all the inflight meals for sale onboard Air Lithuanica are very well priced and competitive with what airports charge, not something you always encounter on some airlines. The only thing that I could fault was the fact that the taste of Thai and ginger flavors were minimal and could probably be improved a little. Other than that my flight was on time, the crew was friendly and overall it was a great inflight meal experience with Air Lithuanica.